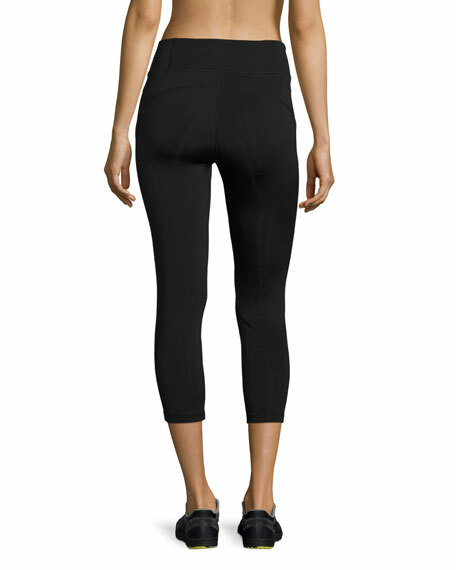 Paneled leggings with logo detail at left hem. Wide banded waist; high rise. 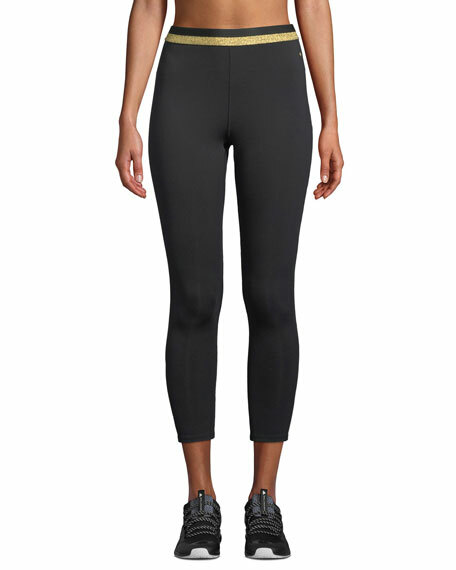 kate spade new york leggings with metallic striped waistband. 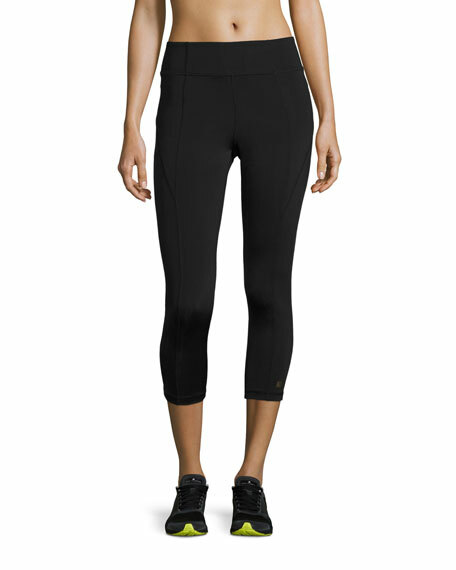 Moisture wicking, quick drying stretch material. High rise. Second-skin fit. Cropped above ankles. Pull-on style. Polyester/spandex. Imported. 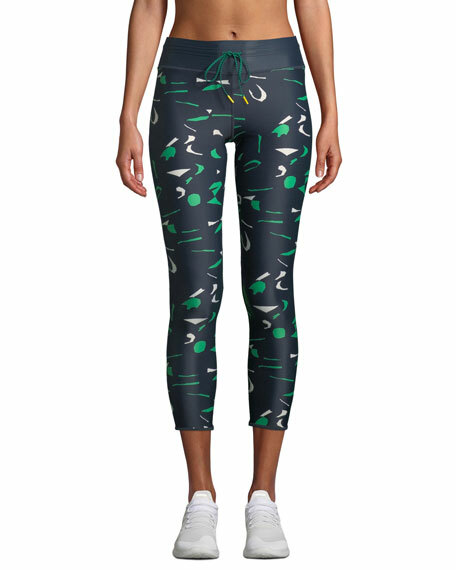 The Upside leggings in abstract camo printed performance fabric. Four-way stretch for comfort and mobility. Drawstring waistband. Second-skin fit. Cropped above ankles. Pull-on style. Nylon/spandex. Imported.